Ian Chang was educated in the UK and graduated from Reading University with a degree in food technology, flavours and aroma. 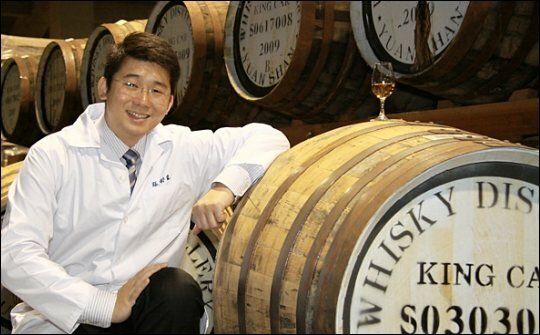 He joined Kavalan Distillery in Taiwan in 2005 to become master blender. He is also the whisky producer’s brand ambassador, director of global business development and head of R&D. “Kavalan," he explains, "targets whisky lovers of all ages who are innovative and bold from all over the world,” he says. “These consumers have a broad knowledge of whisky and love to try new things. Quality instead of age is what they look for. The combination of the distillery’s craftsmanship and the master blender’s great cask selection contributes to the unique flavour of Kavalan whisky. Two new expressions, Kavalan ex-Bourbon Oak and Kavalan Sherry Oak were launched in December last year together with Podium. The former two are reduced in strength from Kavalan’s Solist ex-Bourbon and Solist Sherry with Kavalan natural water to 46% abv. Despite the reduction, they both retain all the essential characters and qualities of the Kavalan Solist series. “The Podium is an innovative work of art, created by the perfect combination of treated brand new oak casks and Kavalan’s own refills, that shows the strength and innovation of our wood policy. Kavalan Distillery Reserve Peaty Cask will also be available exclusively in the distillery and Kavalan showrooms this month (September 2013). The product is positioned as a high end product, listed by up-market British wine and spirits stores and department stores such as Harrods and Selfridges. Following this, Kavalan Classic achieved listings with national supermarket chain Tesco with Chinese calligraphy on the packaging designed exclusively for its stores. 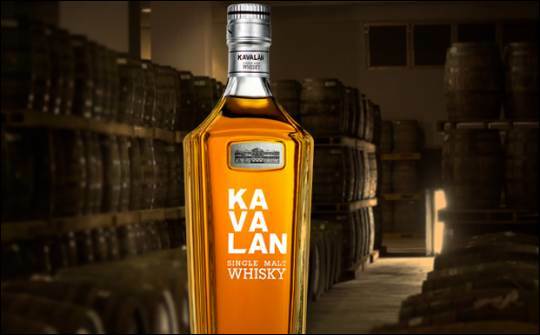 The packaging of Kavalan single malt delivers a contemporary and modern feel to attract younger generations and Ian hopes it conveys quality too. “Our packaging certainly aims to reflect the quality of the whisky. We are now working on a new design that unleashes the brand’s essence, at the same time, delivering a modern feel. To launch Kavalan in the UK, Chinese writing, meaning Kavalan in the form of the traditional calligraphy was added onto the packaging of the Classic to enhance the origin of the single malt and generate interest. “We have a planning team responsible for specifying and designing of the packaging but, to ensure the brand’s packaging has a global market appeal, we partner a local design house (Subkarma). We also have a few trusty suppliers who are the best in the industry. For example, our cork stoppers are sourced from reputable Portuguese companies and our bottles are from a local manufacturer, Taiwan Glass group. “Sustainability/environmental issues are, of course, absolutely important to us. For example, for the outer cases we use lightweight materials, which are all environmentally friendly and recyclable. In the World Whiskies Awards 2013, Kavalan Solist Fino was awarded Best Asian Single Malt.